We run four different Rainbows groups for parents and carers of pre-school children during the week in school term times. 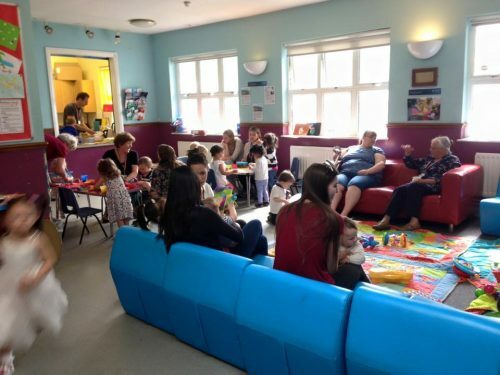 All the groups offer age-appropriate toys and activities including singing time. There are refreshments available, included in the entrance price, for adults and children. If you are on benefits or income support we offer a Rainbows play pass that allows you to come into our groups for free. For more information please contact Lizzie Cronin. For the latest news on recent and upcoming events, and photos, please look at our Facebook page. For under 5s and their parents/carers – Mondays during term time, 10-11.30am, at the Kingsnympton Centre. 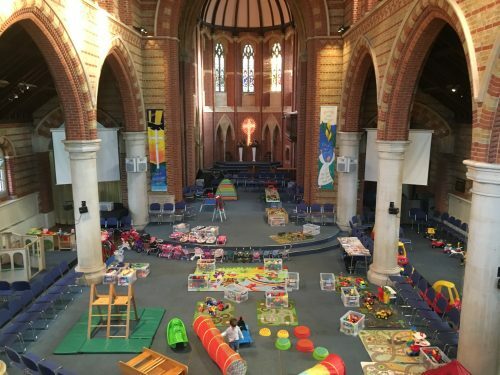 For under 5s and their parents/carers – Wednesdays during term time, 10-11.30am, at St Paul’s Church. Our Sensory Room is open during this session. Please note this group can get busy and we sometimes have to limit numbers so make sure you arrive in time. For under 3s and their parents/carers – Fridays during term time, 10-11.30am, at St Paul’s Church. 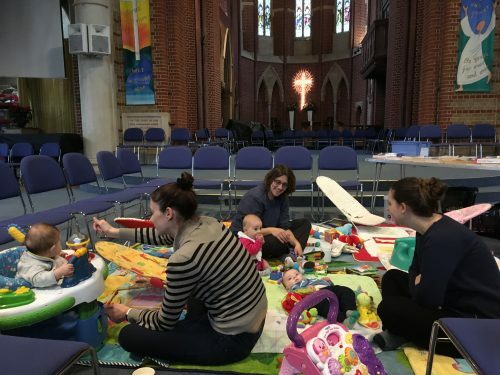 For under 1s and their parents/carers – Fridays during term time, 1.30-3pm, at St Paul’s Church. 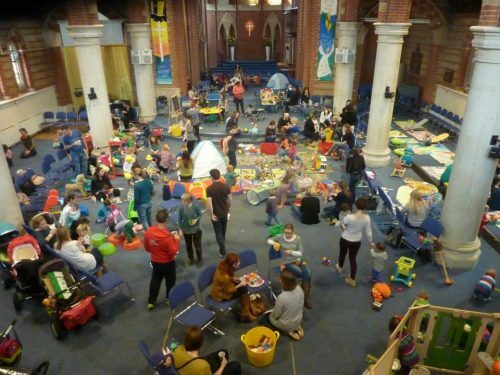 For under 5s and their dad’s – on the 3rd Saturday of the month, 9.30-11am, at St Paul’s Church. Bacon sandwiches & coffee for dads, snacks for the kids. For more information on this group contact Ian Hunt. 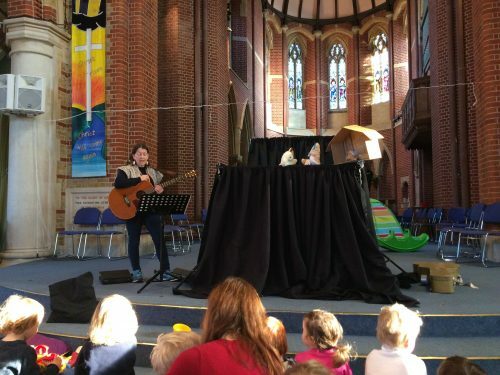 Rainbows Xtra is an event on a Tuesday once or twice a term – a Bible story told simply with puppets and crafts, story and songs on a Bible theme together with all the usual Rainbows fun. Rainbows Easter Xtra is an annual event on a Tuesday before Easter – the Easter story told simply with puppets. Rainbows Christmas Xtra is an annual event on a Tuesday before Christmas – the Christmas story told simply with puppets. 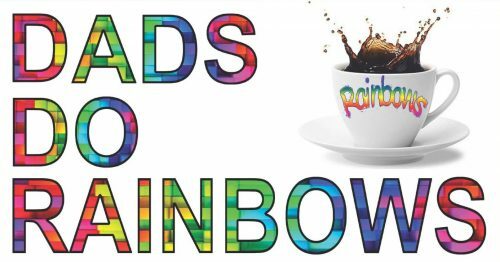 Rainbows sessions for the autumn term start on Monday 7th January and run through until Friday 5th April, with a break over half term (18th to 22nd February). We start back after the Easter break on Wednesday 24th April. We have Rainbows Xtra’s on Tuesday 2th February and another on Tuesday 2nd April.